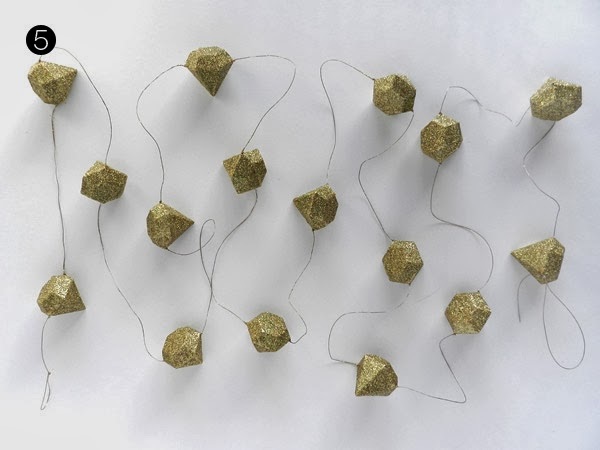 Last holiday season I had my eye on this geometric garland, but didn't love the price, so when I spotted it again this year, I was determined to make my own. 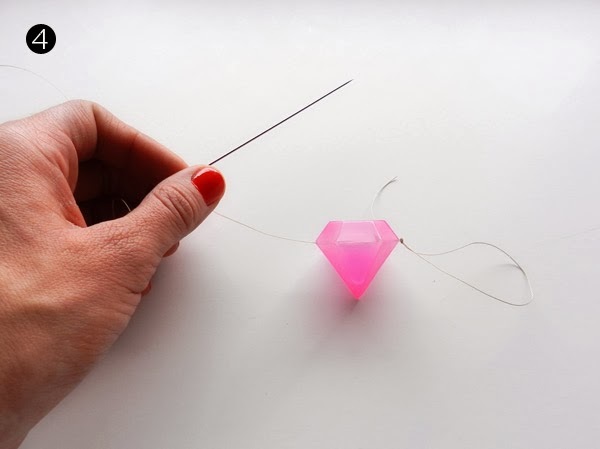 Instead of using standard geometric shapes, I used reusable gem-shaped ice cubes that I had on hand, and strung them using an upholstery needle and thread. I love the modern touch it adds to my holiday decor and will no doubt be pulling it out for years to come! Heck, I may even find a way to keep it up year round. It's just too pretty to put away! 1 & 2. Begin by snipping off the plastic plug at the top of each ice cube and drain the water out. Lay the drained ice cubes out on a towel to dry overnight. Once the ice cubes are dry, they are ready to be strung. 3 & 4. Measure out approximately 3 yards of thread and tie a loop at one end and secure it with a double not. 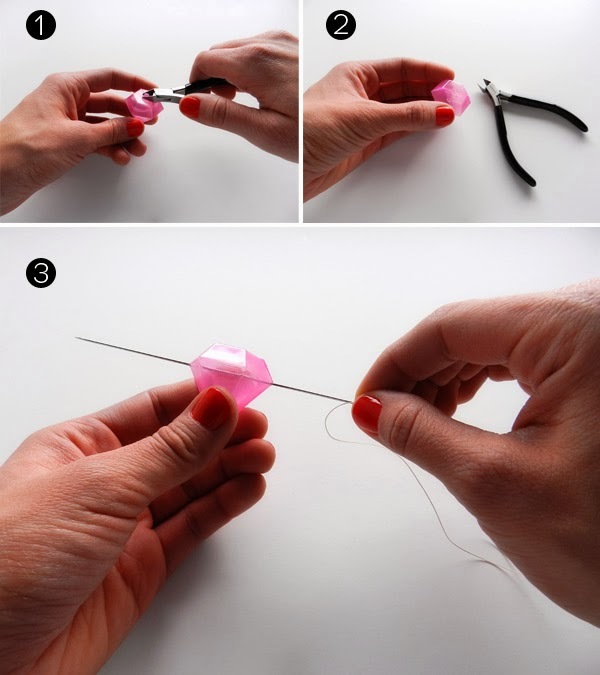 Thread the needle and carefully pierce each gem horizontally and secure it in place with another double knot. Leaving approximately 5 inches of space from the first gem, make another double knot and string another gem. Repeat this process until your garland is the desired length. 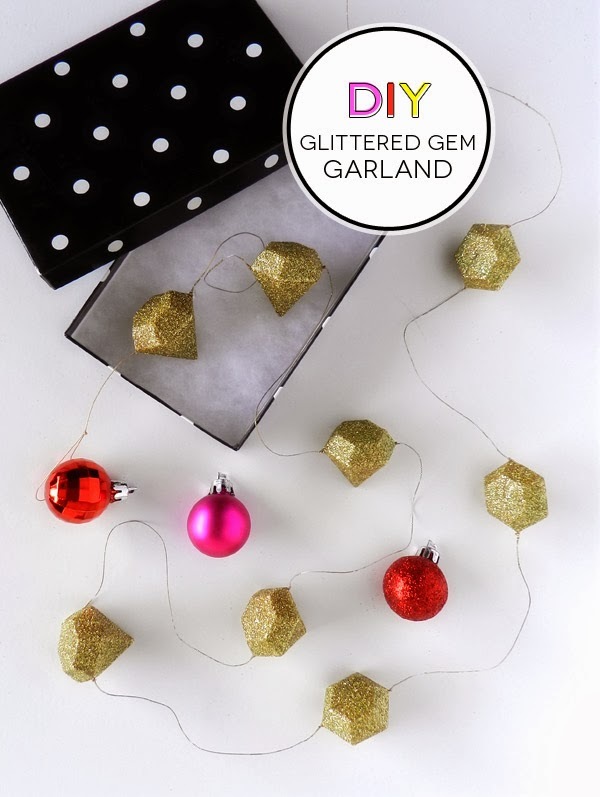 Once all the gems are strung, finish off the end with another loop so your garland can easily be hung. 5. 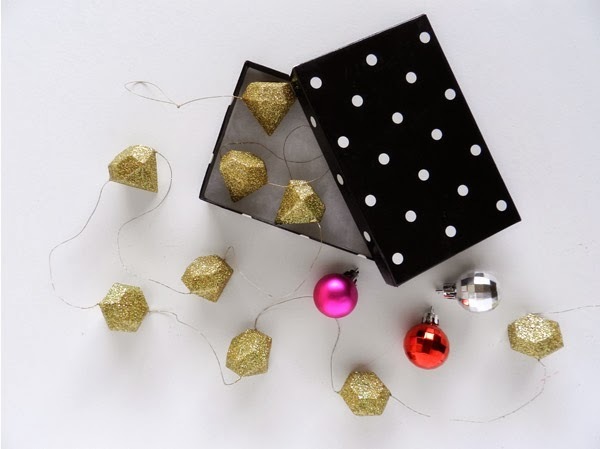 In a well ventilated area, spray paint your garland gold using thin even coats. 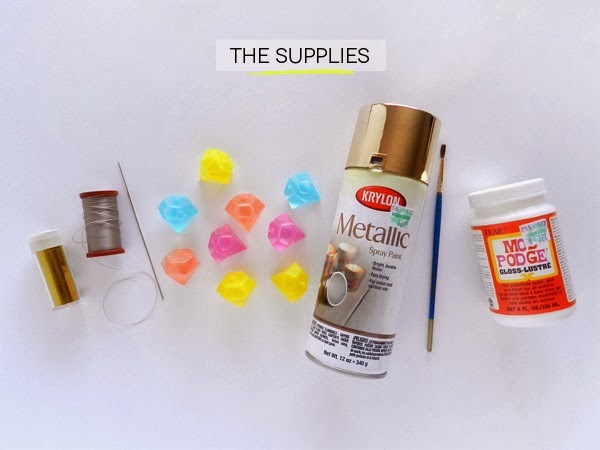 Next, apply an even coat of Mod Podge to each gem and cover with gold glitter. Once the first coat of Mod Podge and glitter dries, add a second coat of Mod Podge to seal the glitter in place, preventing it from shedding all over. Lastly, find a place to hang your new creation and sit back and admire your work!